The undeniable focus of the minimal design, the circular ring in the handle provides intrigue as well as additional stability while in use. With a corrosion resistant serrated edge blade, the Remix is a surprisingly tough addition to your daily routine. 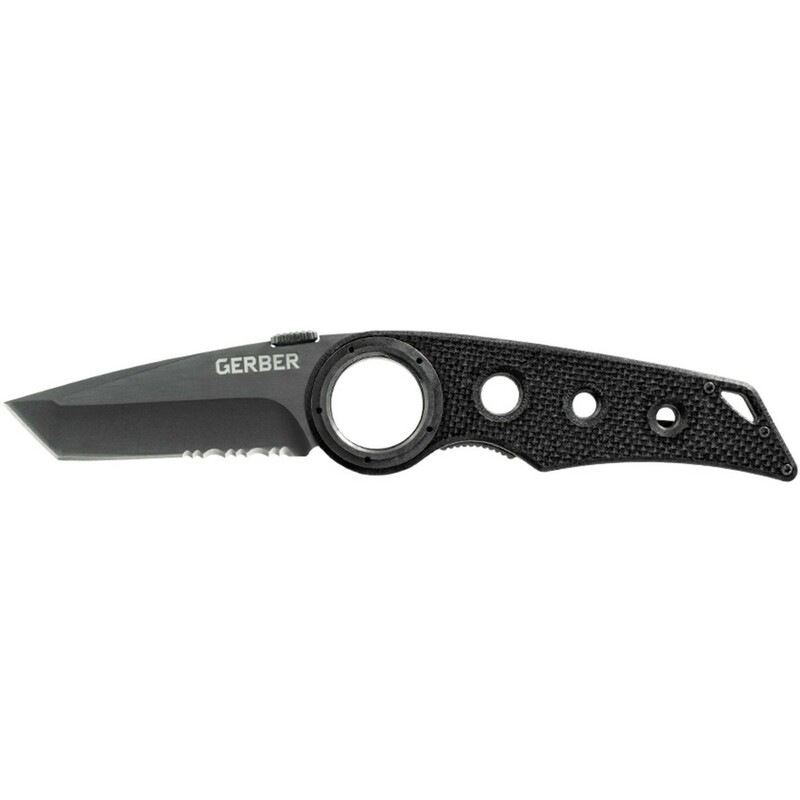 Building off the success of Gerber's popular Remix Series, the Remix Tactical folding clip knife marries a broad three inch serrated tanto blade with Gerber's iconic Remix™ handle design. It’s a tactically inspired, tip-up pocket carrier with class. A newly designed thumblift provides stability and safety while cutting. Made with a slim, lightweight handle and a blade that opens with one hand, it’s an ideal choice for your everyday carry knife.